When road.cc covered the successful funding of BackBottle's Kickstarter campaign way back in April it caused a bit of a stir, with reaction either strongly for or against for a multitude of reasons. I doubt those feelings will have abated now the BackBottle is available, especially given the relatively premium price tag of £10 a go. So speculation, opinion and guesswork aside – does it work, and does it warrant the price? I'd say yes. The BackBottle certainly feels premium. The fit of the lid and the action to open and close the stopper is spot on for me; if you are used to very soft stoppers you might find it a tad hard. Held upside down it takes quite a squeeze to elicit a drip from the closed stopper, and I'd have no qualms chucking it full into a kitbag. The bottle is squeezable for fast drinking, and can be held either way up in the hand depending on how you like to retrieve and replace bottles. The BackBottle is curved in two directions to lie as flat as possible against your back on the bike, with two raised curved ridges running down its length lifting it clear to allow some ventilation. It's top-shelf-of-the-dishwasher-proof, made of recycled materials, is BPA-free and, like The Boss, born in the USA. On the bike it works, and works very well. The act of pulling the bottle out is simple, as would be expected – the key selling point of the BackBottle is getting it back into your pocket in one go. The pointed design makes this a breeze – most of the time, in most jerseys, the BackBottle went back in with one hand, in one go. With a particularly tight jersey I had to hold the pocket open with the index finger of the hand holding the BackBottle, then let it slip down. This was both intuitive and fast, certainly less faff than some attempts at getting a bidon back into a bottle cage can be. I never felt the need to use two hands, or that the BackBottle was at risk of not being held securely – there's a lip that the elasticated pocket hem pops over to hold it in place. Riding with a frozen BackBottle wasn't an issue. I was aware of the cold, but through a jersey and with the elevated contact points it wasn't unpleasant. If you feel the need for cold water, it's perfectly do-able. Putting over half a kilo of water and bottle into a jersey pocket might seem like it's going to be both uncomfortable and annoying, but this simply wasn't the case. I frequently forgot the bottle was there, the fit is so good. It certainly works best in the centre pocket – as you would expect, using a single bottle in an outside pocket does make things slip to one side, particularly if your jersey is lightweight and loose-fitting. The jersey pockets tested ranged from super-lightweight summer-only models through to the wetsuit-esque Castelli Gabba – it was only individual centre-pocket tailoring on one very snug jersey that made the fit too tight to be practical. You can either use the BackBottle by itself, or in conjunction with bike-mounted bidons. You then have the option to drink the BackBottle first to lose the weight from your pocket if it bothers you, or if for whatever reason the removal and replacement is tricky (for example, under a jacket or gilet) you can drink the bidon first, then refill it from the BackBottle in one go. For every person who sees a benefit to the BackBottle there's another who sees it as a solution in search of a problem. The creator's website hosts a number of videos highlighting use cases, for example where carrying a BackBottle means you can avoid the four-minute mid-ride clacky-shoed faff of stopping at a petrol station to purchase a bottle of water, tip into a bidon and dispose of the empty, while leaving your pride and joy handily nickable. Maybe not that much of an issue in the temperate UK, but in places where water procurement facilities can be few and far between and summer temperatures extreme, being able to carry an extra half-litre or so of fluid comfortably could be a major boon. Likewise people riding with others - maybe children, or smaller partners - where the frame clearance may preclude carrying a second or even first bottle. Or in a cyclo-cross race where bike-mounted bottles or feeds may be banned outright – even if your bike had the bosses for a cage or two, which dedicated cyclo-cross bikes often don't. 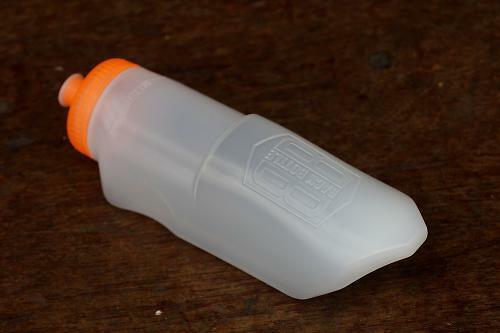 The BackBottle lids won't fit normal bidons and vice-versa – the design is slightly smaller in diameter as the average jersey pocket is a bit smaller than a normal bidon. What BackBottle creator Brian Davis has done is a lot of homework to deliver a product specifically designed to work in jersey pockets, one-handed, instead of taking a standard bottle and making it pointy. Yes, we see domestiques carrying half a dozen bidons back up to the bunch all the time under their jerseys, but they hardly look comfortable. As noted there are many valid reasons for using the BackBottle, and just as many opinions from naysayers who don't share the same value judgement. But these are irrelevant to this review. Fundamentally, for its intended use of carrying water in a jersey pocket while being easily retrievable/replaceable, the BackBottle has it nailed. It's for people wanting to carry more water than their frame or activity allows, without resorting to a hydration pack. BackBottle says: "The BackBottle is designed to allow easy access in and out of jersey pockets for endurance cyclists. "The design is mission specific. It was created to do exactly three things very well. "Stay in the pocket and not eject unexpectedly"
It's very nicely made, from quality materials. It's a waterbottle. It's easy to drink from. Over a few months' use, it's looking and drinking the same as new. It's not the lightest bottle, if that matters. It probably doesn't. As you are 'wearing' the BackBottle, this does apply – and it's comfortable. Often you can't tell it's there. At £10 a go it's probably the most expensive bottle you can buy without getting into the insulated variety. Whether it's worth £10 probably depends on your use case. The thought that's gone into it – it just works. Nothing. Okay, maybe that if you are riding without mudguards, there's a risk that you'll ingest some pathogen-bearing roadside splatter, as there's no way to cap the BackBottle unlike some shielded bidon designs. The BackBottle does what it sets out to do – allows you to carry extra water in a jersey pocket, for what could be various reasons. The overall experience is very good. Ok then. For some 'not in the UK' scenarios. Due to which, 'im out'. Wasn't the modern 3 pocket Jersey designed to carry conventional bidons? I've never had a problem doing that in the past. My cyclocross bike doesn't have bottle cage mounts. If I want to take it on a ride longer than an hour, I want a drink. I don't want to take a Camelbak. That's in the UK. Many other scenarios are available that are applicable to the UK, or to places UK cyclists might ride, and want to carry more than 2 bidons-worth of water - rural or alpine areas on the Continent, for example, where there may be only one shop/café/bar for miles, and you can't be certain it's open (especially in the middle of the day, when it's hottest). Having been caught out in exactly this manner a few years back, I'd much rather have the ability to carry extra water comfortably without resorting to a Camelbak. I totally accept everyone has a right not to agree with how others might want to ride their bikes, or to disregard use cases they don't see as valid. I have a toolkit in a bottle cage pack, so regularly carry a bottle in-jersey, then swap it out when my bike one is empty. I barely feel it when carrying the empty. Nice idea but this doesn't really solve a problem that I have. or you could only drink capri sun on your rides. Or, memorise the graveyard taps at any churches that are en route! Always handy! I sell bottles that fit… let's say bottles that fit in a very light cage. There's even room for 3 bottles on one frame… and you could add bottles behind the saddle, on the handlebar or a vessel fitting inside the frame… yeah. My pockets are usually stuffed with food, additional clothes, 1-2 hats, a phone, keys and money. I have recently taken the bottle cage off my cross bike as it's much easier to shoulder. I bought a camel back which works great, it doesn't really interfere with shouldering. The thing is I don't like the bag on back or the messing cleaning and drying water bladder. This little bidon looks ideal for my needs! Little pricy for what it is but I suspect it is a quality piece of kit. I suspect a Far East company will soon infringe the patent and sell at a lower price ut with lower quality. Also my TT bike doesn't have bottle cages so use them when on the turbo (don't have a handy shelf nearby). They also slide easier into the mesh pocket on my Brompton bag than a normal bidon so handy for quick shove the bottle back the lights are changing when I do a 12 mile commute on it. No problem with the product; I don't suppose I'll purchase one but if someone wants to spend £10 on it - well, there are plenty of worse ways to spend £10. But I do take issue with the bit "Or in a cyclo-cross race where bike-mounted bottles or feeds may be banned outright....". Obviously if you are racing you'll be in a skin suit that won't have pockets so this bottle won't be much use. Having raced CX and never felt the need to spend money on a decent skinsuit, I'd beg to differ. There's as many divergent opinions on the justification for skinsuits in CX as there are on waterbottles that fit into pockets. In fact, the major justification for sticking with bibs+jersey in CX is to be able to carry bottles, for the warm-up or the race itself. If you need a bottle in a 'cross race you really are doing it wrong. Bottles for CX warm-ups OK, but no bottles in races please - it's also against the regs (11.5) because they're likely to fall-out/off and create a hazard for other riders. There are as many opinions regarding the legality, practicality or coolness of carrying water in a CX race as there are people to offer comment. http://forums.mtbr.com/cyclocross/drinking-during-cross-race-791380.html is a very small subset of what is a debate that will never end, because there's no one set of rules, race layout, temerature, duration etc etc across the globe. Anyway, that's a niche of a niche for the product - there are many other possible reasons to use one. I had hoped it was obvious my post was tongue in cheek without need for an emoticon. Oh well. Also, I got my last skin suit for EUR20. And my mate got his last three for EUR5 each. (All new, previous season's team strip - unworn/no skid marks, I hasten to add.) I admit we had to travel to Belgium to buy them (although we were going anyway), so perhaps not quite the bargain they appear, but nonetheless good value and cheaper than a pair of bib shorts and a jersey. The reason to wear a skin suit is because it makes you feel like superman. Without the cape. I imagine. I would love to purchase an Attaquer skin suit but (a) they are ludicrously expensive and (b) they probably require the wearer to finish somewhere other than in mid pack obscurity. I would like to try this. Im not sure how the weight of a full bottle would feel against ones back, but if your jersey could support it sufficiently I think its a great idea. @Midschool, I can honestly say I often forgot it was there. 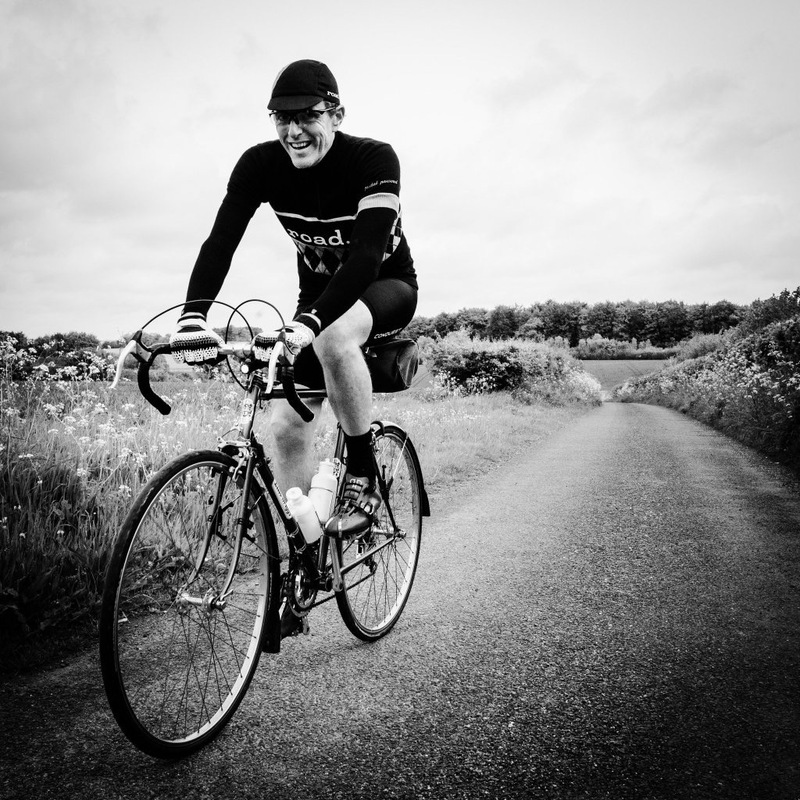 When I did remember, it felt no different to anything else, like a tool roll or inner tube. My jerseys are reasonably close-fitting, which probably helped. There aren't any arguments in the UK, I'm a BC CX Commissaire - if you rolled up to the start with a bottle in your cage or back pocket I'd ask you to remove it.